Comeback man David Warner would be the cynosure of all eyes when last year’s finalist Sunrisers Hyderabad open their campaign against two-time champions Kolkata Knight Riders in the 12th Indian Premier League here Sunday, March 24, 4pm is the date and timeline for all the action. Under Warner’s captaincy Sunrisers won their maiden IPL title in 2016 and in 2017 he was the leading run-getter for his team. But the Australian opener missed the last IPL because of last year’s infamous ball-tampering episode in Capetown and is set to make his IPL comeback alongside Steve Smith. Warner will be the most scrutinised player for Sunrisers this season after he was banned for a year over his role in the ball-tampering scandal. While Warner and Smith were banned for a year, young Cameron Bancroft was left out for nine months for his role. And come this year, both Warner and Smith would be hoping to make an impact for their respective IPL sides. Even as his international ban will end on March 28, the left-handed opener is eligible to play in the franchise league and would be hoping to get into his zone to stake a claim in Australia’s World Cup squad. Warner went under the knife for an elbow injury in January during the Bangladesh Premier League but made a successful comeback for his Sydney club Randy Petes with a 77-ball century in a one-day game earlier this month. Kane Williamson, who led them to a runners-up finish in the Aussie’s absence last season will continue to captain Sunrisers, a team that is known for its depth and variation in bowling. While Bhuvneshwar Kumar will lead Sunrisers pace department, Afghanistan’s Rashid Khan will be in charge of the spin attack. Sunrisers have traded in Vijay Shankar, Shahbaz Nadeem and Abhishek Sharma for Shikhar Dhawan, but the it remains to be seen how they overcome the Indian opener’s departure. 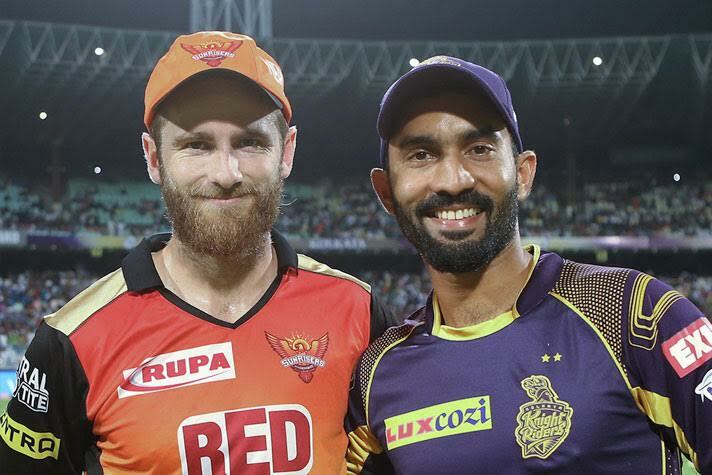 In KKR’s camp, skipper Dinesh Karthik will look to make most of the IPL opportunity to get the selectors’ attention. Taking charge of the team after Gautam Gambhir‘s exit, Karthik led KKR to third place finish following their loss to SRH in the second eliminator last year. KKR have roped in Carlos Brathwaite to go alongside Andre Russell, Sunil Narine as they would look to reinforce their batting firepower with Chris Lynn. Tamil: Star Sports Tamil (All match days); and Vijay Super SD for the Opening, Closing ceremonies and live matches on all Sundays. Telugu: Star Sports Telugu (All match days); and Maa Movies SD and HD for the Opening, Closing ceremonies and live matches on all Sundays. Kannada: Star Sports Kannada (All match days); and Star Suvarna SD and HD for the Opening, Closing ceremonies and live matches on all Sundays. Bengali: Star Sports Bangla (All match days); and Jalsha Movies SD and HD for the Opening, Closing ceremonies and live matches on all Sundays. Marathi: Star Pravah SD and HD for the Opening, Closing ceremonies and live matches on all Sundays. Malayalam: Asianet Plus SD o for the Opening, Closing ceremonies and live matches on all Sundays. The match will also be streamed live on Star’s OTT platform Hotstar. Kolkata Knight Riders: Dinesh Karthik (c), Robin Uthappa, Chris Lynn, Shubman Gill, Andre Russell, Carlos Brathwaite, Sunil Narine, Piyush Chawla, Kuldeep Yadav, Nikhil Naik, Joe Denly, Shrikant Mundhe, Nitish Rana, Sandeep Warrier, Prasidh Krishna, Lockie Ferguson, Harry Gurney, KC Cariappa and Yarra Prithviraj. Sunrisers Hyderabad: Kane Williamson (c), Manish Pandey, Martin Guptill, Ricky Bhui, David Warner, Deepak Hooda, Mohammad Nabi, Yusuf Pathan, Shakib Al Hasan, Abhishek Sharma, Vijay Shankar, Sreevats Gowsami, Jonny Bairstow, Wriddhiman Saha, Siddarth Kaul, Khaleel Ahmed, Bhuvneshwar Kumar, Rashid Khan, Basil Thampi, Billy Stanlake, T Natarajan, Sandeep Sharma, Shahbaz Nadeem.